For the longest time, I thought that the young boy was holding some sort of a small whip and couldn't think of a reason why he would have been so dramatically posed. 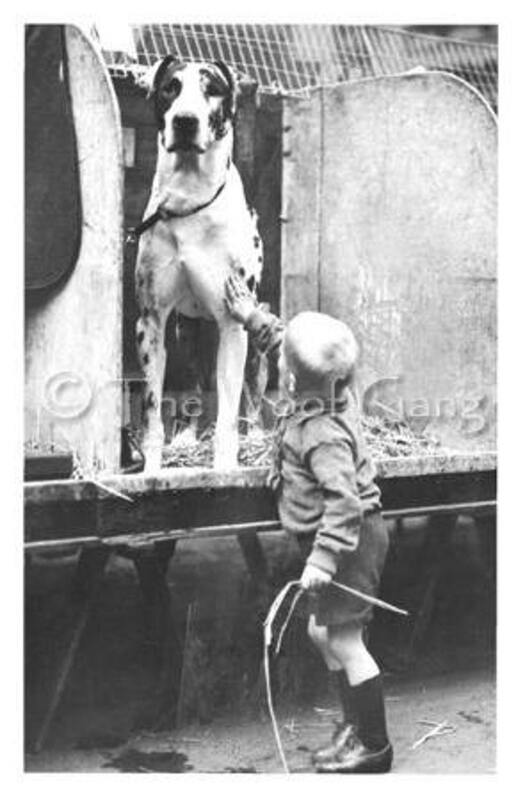 But several alert and much smarter viewers have suggested that the boy is holding a piece of straw and not a whip. Not that the magnificent Zazo seems the slightest bit concerned about what the boy is holding and seems, rather, to be contemplating an escape. Vintage Dog Card--- Children with Teddy Bear and Dachshund Pals U.S.A.